STOP! Don’t Mess Up Your Home Mortgage! Buying a home can be one of the most stressful adventures a person can embark upon. From choosing the home, negotiating the price, obtaining a mortgage loan, to securing ownership, there are many pitfalls that can derail the plan. Consumers often mistakenly believe that it is clean sailing after the mortgage loan process has been started. If the credit score it good, they are good to go, right. Wrong. There are negative actions that can be taken even after the mortgage loan has been applied for that can decrease or annihilate the chances of getting that loan closed. Today we are going to discuss the 5 No-No’s. These are the actions that a consumer needs to AVOID after applying for a mortgage loan. #1: Don’t charge new credit card debt. In many cases, the mortgage loan was narrowly secured based on the consumer’s debt ratio or credit score. In these instances, even a few hundred dollars in new debt can cause the ratios to swing out of favor or credit scores to drop. Postpone any new purchases on credit. Opt instead to pay cash. #2: Don’t quit your job. The mortgage loan will be figured on your (and maybe your spouse’s) income. Your employment status will be checked again before the loan closes, and if the bank finds out you are unemployed, the mortgage loan will most likely fall through. Quitting your job is one of the most surefire ways to spoil the mortgage loan process. #3: Don’t buy a car. If you get car fever during your mortgage process, REFRAIN from acting on it. A car loan will show up as a new inquiry on your credit report, AND the debt could possibly skew your debt ratios enough to mess up your chances of closing on your mortgage. Trust me, a car is not worth losing your dream home. #4: Don’t miss payments. Forgetting to pay a bill or paying it late has a tremendously negative impact on a credit score. Just one late payment could tank your credit score to the point that the new mortgage would be unattainable. 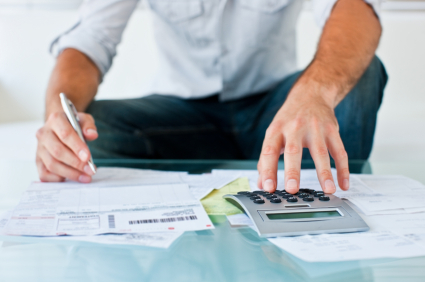 Practice diligence in paying your bills on time, especially when trying to obtain a mortgage. #5: Don’t pay off old collections. It is a common misconception that “cleaning up” your credit by paying off old collection will help you look better to creditors. This is often not the case. By paying off an old collection, the date of last activity (which is how the credit scoring model looks at collections) will be brought to the present. The old collection will look like it just happened, which could result in a credit score drop of 100 points or more! Leave old collections alone, and only pay them at closing, if required. Securing a mortgage is a big endeavor. It takes lots of time and energy. Be sure to avoid these 5 common pitfalls to ensure you get the mortgage you want! ~~Susan McCullah is the Product Development Director for Data Facts, a 23 year old Memphis-based company. Data Facts provides mortgage product and banking solutions to lenders nationwide. Check our our website for a complete explanation of our services. A credit score is a measurement to determine your credit worthiness, and we should all strive to keep ours as HIGH as possible. This means managing our payments, watching our credit card balances, and not frivolously applying for new credit. However, certain seemingly innocent actions can result in credit score decreases. Do you recognize yourself as having any of these “conditions”? The “I gotta have it-ache”. A new fishing rod, a great pair of heels, a beach vacation. We all have the budget breaking Achilles heel. While splurging every now and then won’t be detrimental, a habit of treating yourself to everything that catches your eye can damage your credit score. Overspending can result in maxed out credit cards, which can lower your credit score (remember, credit utilization accounts for 30% of your score). Another result of over-extending can be not being able to pay your bills on time. If you begin paying bills late, your credit score will definitely pay the price. The “I’ll worry about it tomorrow-itis”. Procrastinating on making a budget or delaying facing your mounting bills is a sure fire way to sink your credit score. A few missed payments along with a few bad purchases can cause a mess that will take you months (or YEARS) to recover from. The “I can’t miss a deal-phobia”. 20% off if you open a credit card! Ends today! If either of these speaks to you, this may be a problem. Department stores often offer discounts for opening a new credit card, and these show up on your credit report as an inquiry. Too many of these can have a very negative effect on your credit score. The “It will work itself out-flu”. Collection calls, liens, lates, OH MY! These are credit score tankers and they need to be dealt with thisveryminute! There is a chance that they are erroneous, and could be removed from your credit report with a little effort on your part. Letting them linger on your credit report will send you straight out of 700 and 800land into 600 or 500ville. And nobody wants to live there. The best remedies to get and keep a high credit score? Think about your purchases. Being impulsive with money is going to lead you down a debt-ridden path. If the object of your desire costs more than 1% of your monthly income, think about it for at least 24 hours and figure out how you are going to pay for it. Always keep your budget on your mind. Write out a monthly budget so that you know how much extra money you can spend every month. This will keep you making your payments on time and your debt manageable. Just say no to marketing. 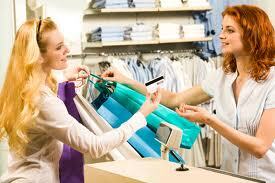 Don’t be swayed to buy something or open credit lines you don’t need because of a great sale or discount. If you weren’t looking for it before you walked into the store, chances are you can live without it, no matter how great the ‘deal’. Your financial future is more important than saving a few bucks. Keep your head out of the sand. Big credit problems such as collections and liens will not vanish by themselves. Make sure you are checking your credit report regularly. Never assume that creditors will realize they have made a mistake and then take steps to correct it on their own. Jump in and get any erroneous information handled immediately. The health of your credit score depends largely on your ability to control your impulses when shopping. Keeping a handle on spending and seeing your big financial picture will help keep your credit score healthy and in top form. ~~Susan McCullah is the Product Development Director for Data Facts, a 22 year old Memphis-based company that provides mortgage product solutions to lenders nationwide.